Illustrations: 26 b/w photographs, 3 maps. FROM THE BOOK:"The pit I was ordered to dig had the precise dimensions of a casket. The NKVD officer carefully designed it. He measured my size with a stick, made lines on the forest floor, and told me to dig. He wanted to make sure I'd fit well inside." In 1941 Janusz Bardach's death sentence was commuted to ten years' hard labor and he was sent to Kolyma—the harshest, coldest, and most deadly prison in Joseph Stalin's labor camp system—the Siberia of Siberias. 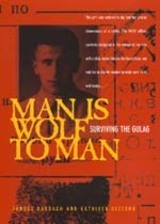 The only English-language memoir since the fall of communism to chronicle the atrocities committed during the Stalinist regime, Bardach's gripping testimony explores the darkest corners of the human condition at the same time that it documents the tyranny of Stalin's reign, equal only to that of Hitler. With breathtaking immediacy, a riveting eye for detail, and a humanity that permeates the events and landscapes he describes, Bardach recounts the extraordinary story of this nearly inconceivable world. The story begins with the Nazi occupation when Bardach, a young Polish Jew inspired by Soviet Communism, crosses the border of Poland to join the ranks of the Red Army. His ideals are quickly shattered when he is arrested, court-martialed, and sentenced to death. How Bardach survives an endless barrage of brutality—from a near-fatal beating to the harsh conditions and slow starvation of the gulag existence—is a testament to human endurance under the most oppressive circumstances. Besides being of great historical significance, Bardach's narrative is a celebration of life and a vital affirmation of what it means to be human. Janusz Bardach is a world-renowned plastic and reconstructive surgeon. He lives in Iowa City with his family. Kathleen Gleeson is a graduate of the University of Iowa's Nonfiction Writing Program and also lives in Iowa City. Adam Hochschild is the author of King Leopold's Ghost.